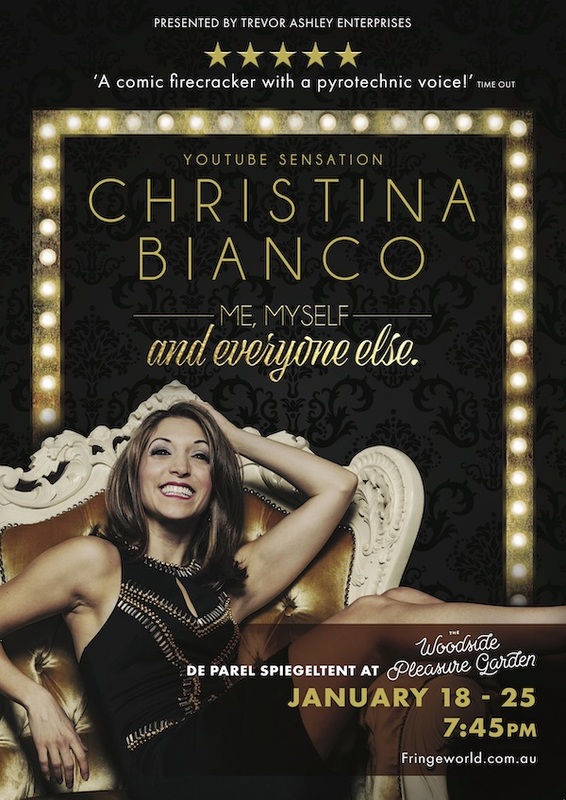 Christina Bianco first found international recognition when her diva impression videos went crazy viral, racking up over 24 million views. Now the US star is coming to FRINGE WORLD bringing her new show Me, Myself and Everyone Else to De Parel Spiegeltent at The Woodside Pleasure Garden from Friday, January 18 to Friday, January 25. Get more info and tickets here now. In Me, Myself and Everyone Else, the Broadway and West End star celebrates the voices that made her famous with her uncanny impersonations of the most iconic voices in pop culture. Spanning a staggering range of styles and eras, she struts the stage as everyone from Barbra Streisand to Britney. As she spontaneously reinvents pop songs and iconic show tunes, expect the most unlikely divas to take the stage in a performance that’s as funny as it is musically mindblowing. As seen on the Ellen Degeneres show. We’re stoked to have 2 double passes to giveaway to see Christina Bianco in Me, Myself and Everyone Else. To enter simply email us here at win@xpressmag.com.au with CHRISTINA BIANCO in the subject line then vote for your favourite of Christina’s diva impressions on the Facebook video post. Don’t forget to like the X-Press Facebook page and sign up to the newsletter to be in the running! Competition closes Monday, January 21 at 5pm. Please only enter if you can attend. You must be a Perth, WA resident and able to attend at De Parel Spiegeltent at The Woodside Pleasure Garden on the night you nominate (should you win) from January 18 to January 25.